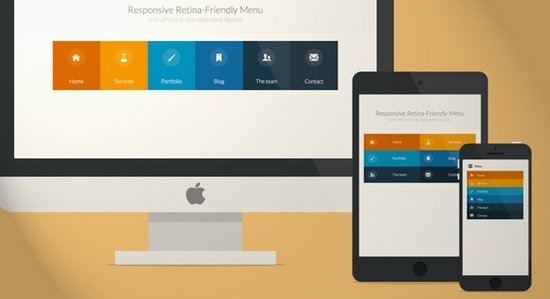 Every User Interface is recognized and appreciated by its design factor and it’s responsible for the first good impression which eventually earns more and more clients. 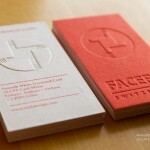 When talking about designing, it’s actually a vast subject with no boundaries that evolves on a continual basis. You always have to come above with new unique fruitful ideas and of course with the ways of implementing them. As a designer, you always have to keep your eyes on ongoing trends, new ideas, latest designing tools and resources. Creating an appealing and efficient user interface is always a challenging task and requires a huge army of UI Design tools, kits and resources. There’s a separate kit available for every design ranging from font designing to website designing. 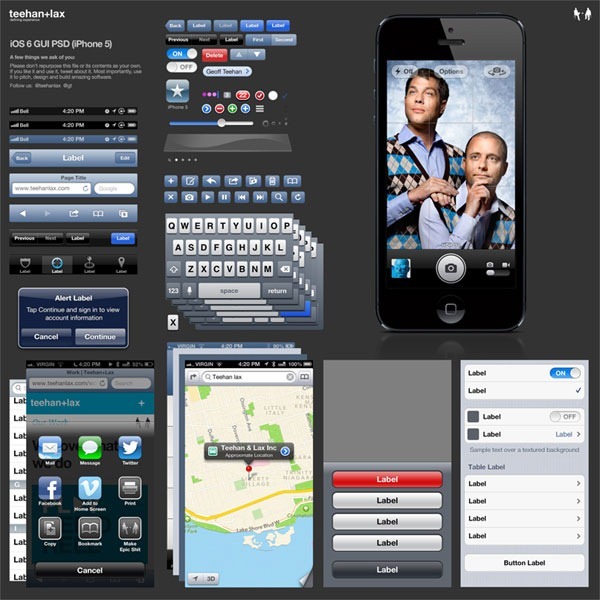 Many designers use their own personalized developed kit for developing professional user interfaces which can be downloaded from the Internet. 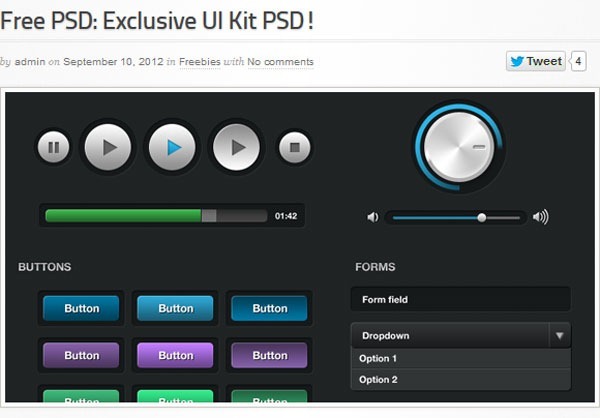 For your ease, we have collected some popular User Interface Kits which are free to download. 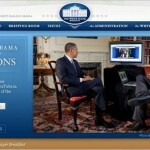 These designing kits and resources are priceless and can be used to design professional websites and user Interfaces. 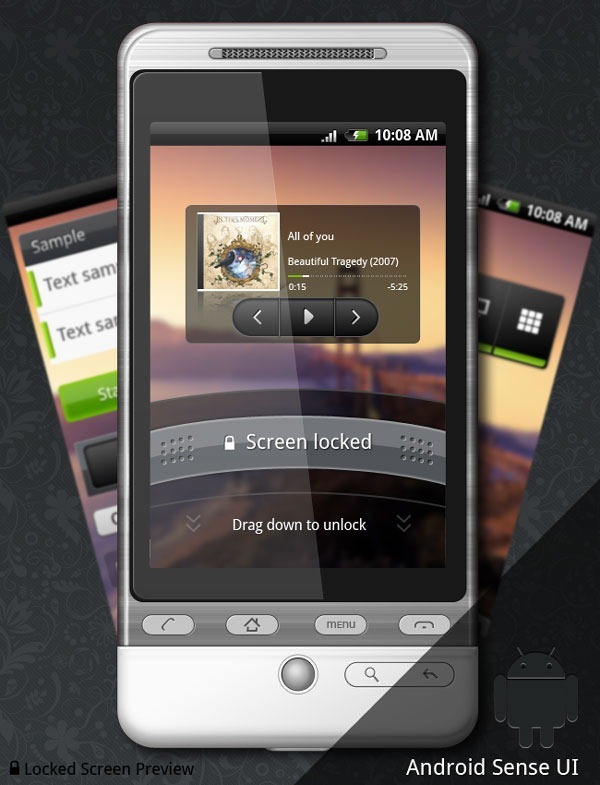 Designer Vista is at the top in our list because of its popularity. It’s basically a graphic user interface that is actually very easy to use and capable of creating prototypes, mock-ups for desktops, mobile applications, tablet applications and web applications. You can create professional graphic interface mockups, visualize and observe these mock-ups with different available themes and you can even copy your mockups into other applications. The design of Designer vista is fairly appreciable and doesn’t require any kind of knowledge for operation. Designer vista is available for windows vista, win XP, and win 7. As the name suggests, Concept Feedback is a powerful tool that a designer can use to get feedbacks from various designers and clients on their ongoing designing project and there’s no charge for that. 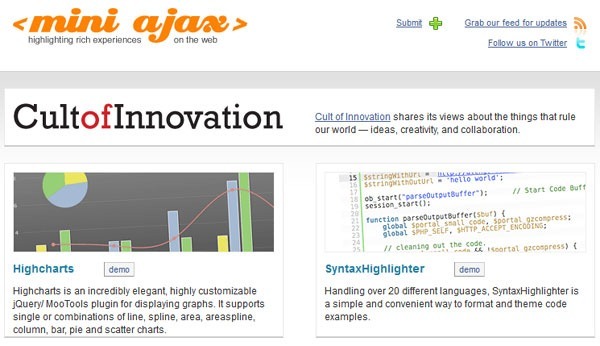 Html Assets is a free huge database of java code snippets that can be used by designers in their designing projects while creating HTML forms and various java scripts portions. 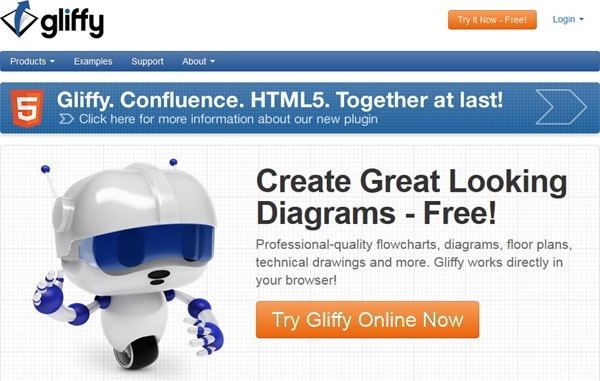 Gliffy is online tool that is capable of creating professional quality diagrams for free. This all-in-one web element can enhance designer’s creativity by creating flowcharts, technical drawings, diagrams, floor plans and much more. The design of Gliffy is fairly appreciable and doesn’t require any kind of knowledge for operation. Apart from this, it doesn’t have any compatibility problems and can be operated on MAC and other systems. Live Pipe UI is a powerful designing suite that can be used to design controls, widgets and other elements needed for creating a prototype. Each control in Live Pipe UI is fully tested and MIT authorized. Patternry is another free tool that can be used for web designing and building front-end resources for your team. 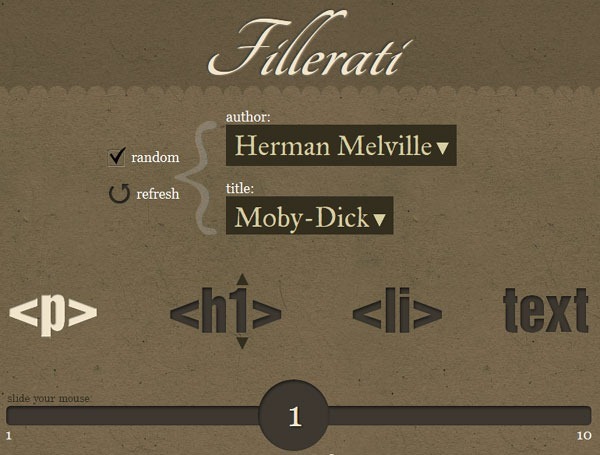 Use can use this tool to make web elements and design patterns. IPhone PSD provides a huge set of different user interface elements. These elements are PSD files based upon vectors and therefore can be easily edited and altered manually as per as designer’s needs. 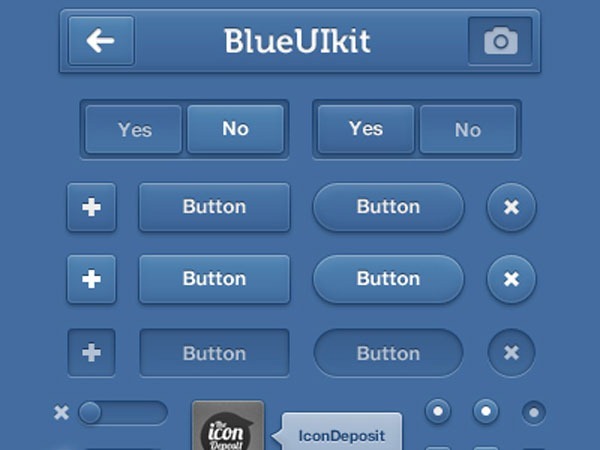 The Blue UI kit contains almost everything needed to create a top class web user interface or mobile user interface complete with checkboxes, radio buttons, search boxes, tools, tips and even PSDs. Everything contained in the kit is vector, which means you can easily resize anything according to your need. This Free UI kits packages gorgeous web user interface elements like drop down menus, sliders, buttons and various other cool web user interface elements. 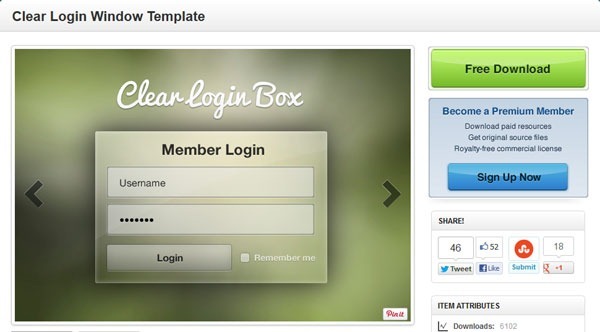 The Clear Login Box is an easy solution for all your login based web designs and web applications. The main feature of this login box is its chameleon property that is appearance of the login template is automatically changed according to the background image. 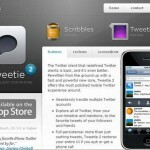 This is a template based on iPhone applications which is suitable for almost all types of iPhone applications. Template follows the apple application designing style and apart from this it is 100% vector, layered and is available along with PSD files. The Android Asset Studio provides an outline platform that can be used to extract Android related icons. The studio has a huge collection of icons and you can even create new using the available tools. 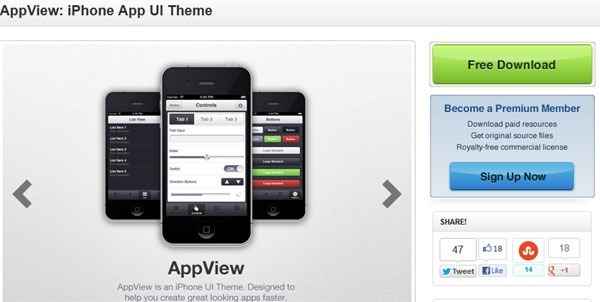 GUI design framework is again a free design tool for web designers and web developers. 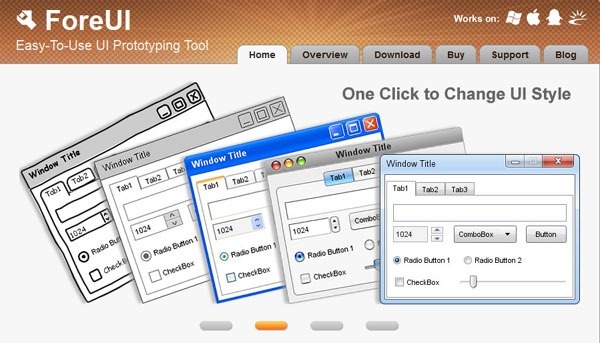 This tool can be used to create mockups and user interface design with various common Graphic elements. Moreover, the designer can even customize the graphics elements further as per requirement. The DIY Kit is based on Konigi wireframe stencils and is very useful for white board prototyping. It consists of three sheets elements that can be downloaded as pdf files and can be printed into magnet sheets. Media loot web UI and button set has everything for a web UI like dropdown menus, text boxes, buttons, info and text boxes, basic symbols, loading elements, speech bubbles, search buttons and much more. It is perfect designing package that can help you to make apps, themes, web designs and other designs much easily and quickly. 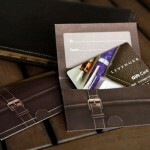 This package is available in three different styles and seven different colors. 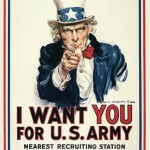 Pattern design is highly capable of providing navigational needs to any User Interface. Designers can depend upon this tool for navigational requirements rather than copying required stuff from any copyrighted resources. Five second test provides landing page optimization for mockup designs, wireframes and screenshots. 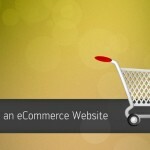 Users can also use this site to results or output as beautiful graph charts. 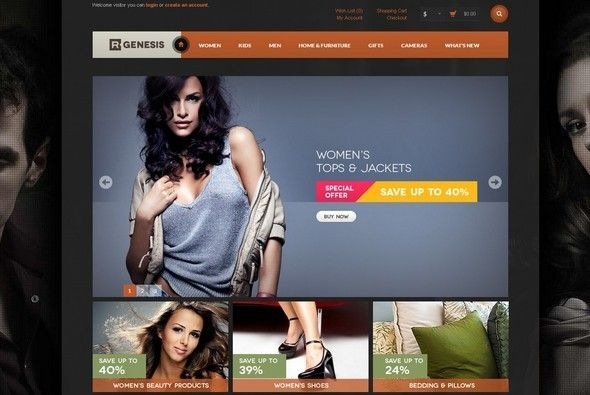 User Interface Design Patterns is a best option to tackle with various common designing problems. Designers from all over world use site’s designing articles and other resources as a designing references and to find solutions for various designing problems. 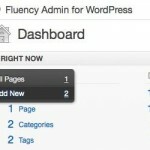 Mock flow is basically a designing suite that offers lot of designing tools and designing services for the designers. Mock flow provides various visual concepts shared by various clients instantly and allows swift coding and drawing wireframes. The passion of Android is at its peak nowadays. 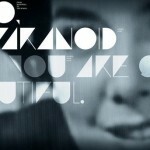 There’s lot to for designers in the field of Android. 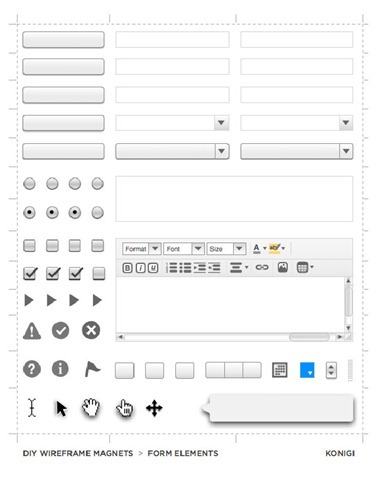 Web design shock provides free Android GUI along with Photoshop files. 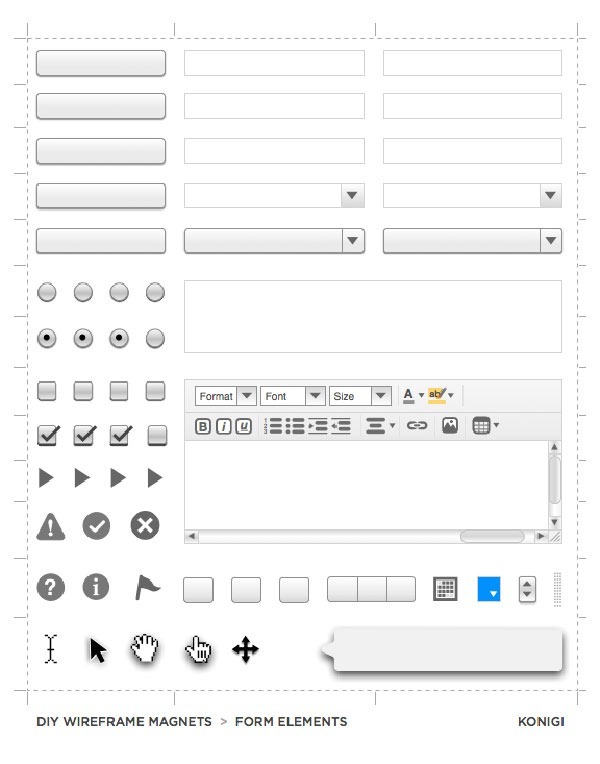 This tool is open source tool and can be used to create GUI prototyping and diagrams. Fore UI- abbreviated as Fore User interface is a UI designing tool that works on different platforms like Windows, Mac OSX, Linux and Solaris platform. 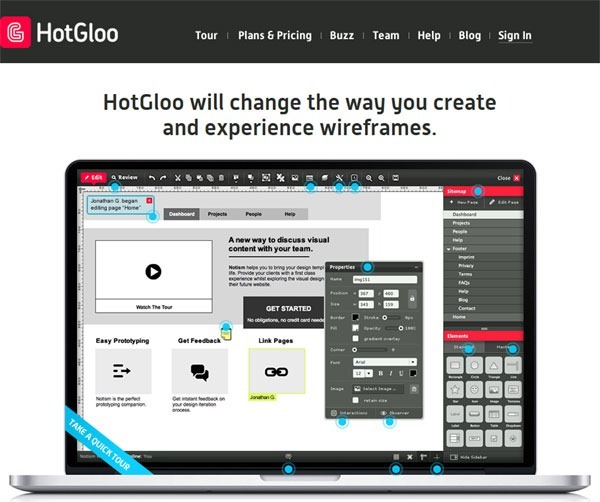 It is extremely easy to use and can be used to designed wireframes, prototypes of websites or applications and even mock up. 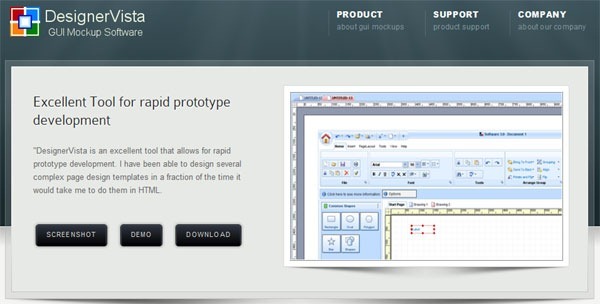 Further you can export your prototypes to PDF documents, HTML 5 simulation or wireframe images. Apart from this, this UI supports various international languages. Mockingbird seems to pretty useful and quick when you have to create different mockups. Mocking bird can accessed only online and can be used to create mockups, link different mockups and even to share mockups of application or any online website. It has responsive and buttery smooth wire framing network which allows you to think effectively and you can even test your own ideas. 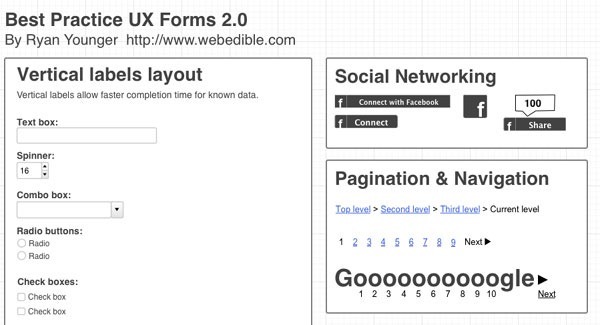 This tool is pretty handy when you have to design forms with different characteristics. It provides lot of interesting controls and fields like social networking buttons, captcha fields, next page linking mechanism, check boxes, combo boxes, radio buttons and much more. This tool can be used to create real time graphs, circle graphs very easily from HTML tables. Further these tables can also be edited for customization purpose. This is open source project and is very simple to use, you just have to write few lines of coding to get the output of your initial table. 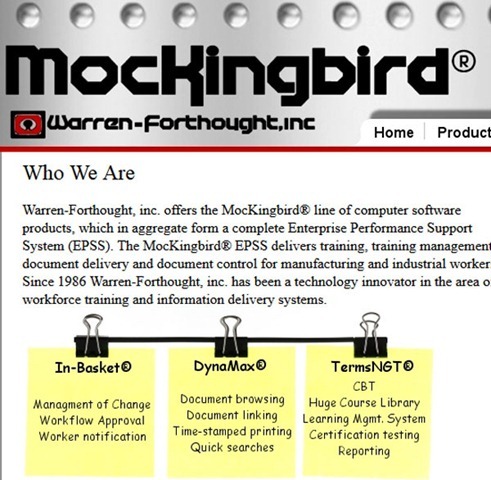 From the productivity and collaboration point of view, Mocklinkr is outstanding. 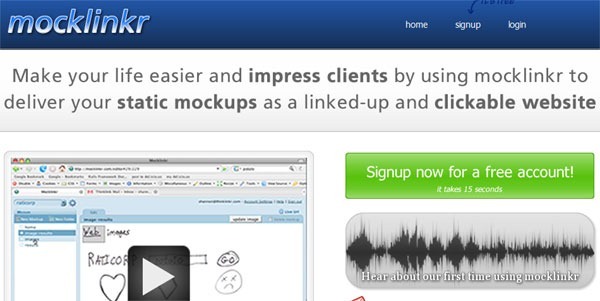 With Mocklinkr you can centralized your mockups online which will be visible to you and your clients at the same time. Apart from this you can interact with your clients directly and can also link all your mockups together which would be definitely attract more customers. 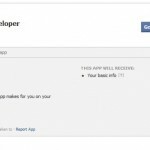 Further your clients will be able to leave feedback too on your mockup as you and your client will be connected together through a same mockup. The main point of placing this software in this list is kind of ease it provides to the users. It just needs basic knowledge and someone can easily habitual to it after using it for few hours. The real time functioning and responsiveness of this tool is pretty amazing. So there you go guys, I’ve finished with the above list of best UI designing tools, kits and resources. Well this list is based upon my opinion and when we’re talking about choices, it varies from one designer to designer. So if you believe that your favorite tool isn’t mentioned and should be in this list or if I had missed any popular tool, do let us know through comments.